When Paul Oyer’s new book crossed our desk, it was hard not to take notice. 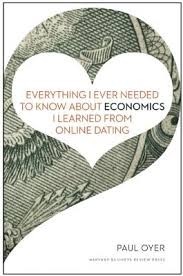 “Everything I Ever Needed to Know About Economics I Learned from Online Dating” is a compelling read about Oyer’s re-entrance into the dating market after more than 20 years. But it’s also an instructive text about economics. We asked Oyer, a professor at the Stanford Graduate School of Business and editor-in-chief of the Journal of Labor Economics, to treat us to a sampling of what he learned. He obliged with this adaptation of his chapter on statistical discrimination. Paul Oyer: As a middle-aged white male, I have it pretty easy. But I recently entered a group that, much to my surprise, made me a target of discrimination. It all started when I hit the dating scene. The first time I posted a profile on Match.com, I was divorced in every way except the legal one. So, on my profile, I listed myself as “separated,” and I wrote a simple, honest and incredibly naive description of myself. Type 1: Enthusiastic returnees to the world of dating looking to have fun with, and be incredibly nice to, interesting women they’ve never met before. Type 2: Men who might go back to their wives (or, worse yet, haven’t even left them). Type 3: Devastated wrecks who are angry and bitter about their failed marriage. I was a Type 1 (trust me), but there was absolutely no way for women poring over Match.com profiles to distinguish me from the large group of men out there who were Type 2 or Type 3. The response to my initial profile was not overwhelming — even by middle-aged, balding economist standards. The vast majority of the emails I sent to women were ignored. Several women wrote back noting that, while they appreciated my honesty (this, for the record, provided zero consolation), they did not date separated men because they had found that they were often not ready for a new relationship. Now, this is certainly not the saddest story you have ever heard and, as victims of discrimination go, I realize I should not be looking for sympathy. But, as an economist, I think of this anti-separated mentality as a wonderful illustration of an important concept that has much bigger ramifications: statistical discrimination. This is the economics term for what most people would simply refer to as women acting on a stereotype based on my separated status. This is a much less nefarious use of the term discrimination than you are used to. It is not like Jim Crow laws or male-only clubs where the whites or men simply do not want to associate with a group. What makes this a classic case of statistical discrimination (rather than taste-based discrimination) is that women do not hold ill will towards separated men. After all, these same women will date divorced men, all of whom were separated at some point. But they discriminate against separated men because of the association between being separated and being a Type 2 or Type 3. Rather than being based on tastes, it’s based on statistical correlations — people act in a manner that hurts members of a certain group though they have no negative feelings toward that group. Racial slurs and other taste-based discrimination stem from the fact that some white people do not want to associate with black people simply because they are black. But nobody has any animus towards separated men (except maybe their estranged wives), and I wasn’t a victim of taste-based discrimination — I was a victim of a lack of information. Stereotypes and statistical discrimination can work in people’s favor, of course. 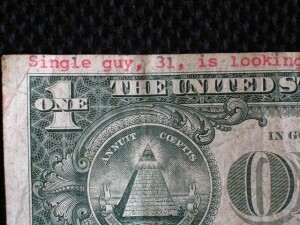 For example, I have a friend who returned to the dating scene a few years ahead of me after a somewhat longer hiatus. As a widower after a 30-plus year marriage, he benefited from statistical discrimination that worked in his favor. This friend is an extremely interesting and fun person. But he’s had a few health issues and he’s not exactly in the best physical shape. Nonetheless, his profile made him seem like a very, very likely Type 1. His emails to women on dating sites were generally returned, and he received many unsolicited messages because the assumptions women made about him were positive. The statistical discrimination against my separated status led to some mild inconvenience for me and limited the pool of women I could choose from. But statistical discrimination can be much more damaging in other contexts. While the United States population has gotten a lot more tolerant over time, and overt discrimination has become less of a problem (though I don’t mean to suggest it’s not still a problem for a lot of people), statistical discrimination remains a fact of everyday life. Let’s consider common examples of statistical discrimination that impose real costs on the equivalents of the Type 1s who cannot easily distinguish themselves from the Type 2 and Type 3 people who, because of the lack of specific information, they are pooled with. Example 1: When people drive through low-income neighborhoods, they often lock their car doors despite having driven long distances in other areas with the doors unlocked. This is because they see poor people and, though they are not prejudiced against poor people per se, they associate people who are poor with those who are more likely to commit crime. Example 2: When hiring for a job where many of the candidates are in their 20s or 30s, firms often prefer male candidates to female candidates because women of that age are more likely to leave their jobs or take extended leaves of absence to have children. This is a perfectly rational belief on the part of the employers, given that the average time a woman of that age holds a job is less than a similar man’s. However, it is extremely frustrating for all women, especially those that have no plans to bear children. Women who do not plan to have children are pooled with women who do plan to have children and, as a result, deemed less desirable by employers. Example 3: Men are sometimes discriminated against in hiring because, as a group, they are much more likely to commit crimes than women are. Also, given that young, uneducated men are much less attached to the workforce than they used to be, employers sometimes make negative assumptions about the work ethic of lower-skilled men. In a related (though non-labor market) example, Trayvon Martin’s death was the tragic result of statistical discrimination because George Zimmerman made assumptions about young African-American men who wear hooded sweatshirts. Example 4: Twenty-year-old men typically pay higher car insurance premiums than 20-year-old women or 40-year-old men with equivalent driving records. There are many 20-year-old men who drive extremely cautiously, but insurance companies do not watch them driving and so, lacking information on their specific driving habits, cannot judge them by their own record. Because, on average, 20-year-old men drive faster and more erratically than 20-year-old women, these men are statistically discriminated against, even though the insurance company has no animus towards men. Example 5: “Racial profiling” is essentially statistical discrimination. The highway patrol is accused of pulling over more minority drivers, and Arab airline passengers often get extra attention when going through airport security. Some of this scrutiny is likely the result of taste-based discrimination, in that the police may be hostile to minorities and use their power to harass drivers from these groups. But there are surely many cases of police officers who are not hostile to minorities and airport security workers who are not hostile to Arabs, yet they believe (with at least some empirical justification) that race is positively correlated with the things they have been empowered to control. All of these are examples of rational statistical discrimination, or “true” stereotypes. Individuals in each of these groups will be different, but the assumptions people make about each group are based on actual statistical relationships. As these examples make clear, statistical discrimination is going on all around us every day and, while the word discrimination conjures up images of unfairness and blameworthy behavior, a lot of statistical discrimination is tolerated. Why does the world think it is okay for women to snub separated men while there is outrage about racial profiling at airports and on highways? Why do customers tolerate gender-based insurance rates while statistically discriminating against women in hiring is a violation of civil rights law? There are two answers to explain this distinction, I think. The first isn’t very economics-oriented. Simply, there are some forms of statistical discrimination that seem fair and some that don’t. Few people can conjure up a great deal of sympathy for separated men who have a somewhat smaller selection of potential dates and who, after waiting a little while, will move into the “divorced” category. But when statistical discrimination is against a group (women, minorities, Arabs) whose members have no control over their status, it strikes most people as unfair. One could argue that men should qualify for sympathy on their car insurance rates since they do not choose their gender. But, either because people believe men have enough advantages in life to compensate for the car insurance expense or because men grow out of the extra insurance cost as they age, gender-based insurance pricing has generated relatively little opposition. The second distinction between acceptable and unacceptable statistical discrimination relates to economic efficiency — that is, the degree to which statistical discrimination makes society as a whole worse off rather than only making some people worse off to the benefit of some others. One way this could happen is if statistical discrimination leads women to underinvest in their education. Think about a firm choosing among several job candidates in their 20s, where some candidates are men and some are women. What happens if the firm chooses a man for the job because the hiring manager thinks that the man is more likely to stay on the job for a longer time than a similar woman? The direct effects on the parties involved just make the man who gets the job a little better off and the woman that would otherwise have gotten it a little worse off. But now think about that woman a few years earlier, when she was in college. If she understood that her career prospects would be limited because employers could make gender-based assumptions about her qualifications for a job, she might work less hard or stay in school for fewer years. That is, anticipating a lower return on her investment in college, she would reduce that investment. This decision might keep her from getting an education that would have paid off if she were able to credibly convince potential employers that she would remain active in the labor force. The woman is hurt, but so is the economy in general; she did not make an investment that would have paid off for her and for society as a whole. In addition to having a large effect on labor markets, statistical discrimination also has big ramifications for product markets. There have been a number of very interesting recent studies of discrimination in product markets. One great example of this was a study done in Israel by Asaf Zussman, an economist at Hebrew University. He analyzed the discrimination of Jewish Israelis (who make up a majority in the country) against the Arab minority. He sent a pair of messages to each of 8,000 Jewish people who had listed cars for sale on Israel’s largest classified ads website (the Israeli equivalent of Craigslist.) Each pair of messages was basically identical, except that one was signed “Moshe” (a distinctly Jewish name) and one was signed “Muhammad” (a distinctly Arab one). The emails offered a price for the car that was a discount relative to the price listed in the advertisement. Zussman found substantial evidence of discrimination, as the response rate to Jewish buyer emails was much higher than the response rate to Arab buyers; an Arab buyer who offered to pay the price listed in the advertisement and a Jewish buyer who offered a 5 to 10 percent discount were equally likely to hear back from the seller. Zussman then called each of the car sellers and administered an apparently unrelated survey that asked numerous questions about their feelings about Arabs and Arab-Jewish relations. The car sellers had no idea (or, at least they were not informed) that there was a connection between their car sale and the phone survey. Zussman then matched the individuals’ survey responses to their responses to emails from prospective buyers. The respondents in the survey revealed negative views of Arabs along several dimensions, with many indicating that they thought Arabs were of lower natural intelligence than Jews and should be forced to use segregated recreational facilities. However, the degree to which individuals showed discrimination against Arabs in the car negotiations was correlated with only one question on the survey — the degree to which they agreed with the statement, “The Arabs in Israel are more likely to cheat than the Jews.” So, while Jews express negative feelings about Arabs in Israel, they are able to put these feelings aside when transacting sales with Arabs as long as they do not expect to get cheated. That is, Zussman’s study indicates that Jews discriminate against Arabs when transacting business because they think more Arabs are cheaters, not because they do not like Arabs. All these examples, from the U.S. and elsewhere, are quite sobering. My own recent (and short-lived) experience as a member of a group that is discriminated against has heightened my awareness of the fact that the benefits of being a middle-aged white male are widespread. And it’s been a useful reminder that, while overt discrimination is not nearly as bad as it used to be here in the United States, the detrimental effects of stereotyping are pervasive and substantial. Left: Paul Oyer is an Ivy League-educated economist, but everything he ever needed to learn about economics he learned from online dating. Photo by Flickr user Tim McFarlane.